Product code: ES3892 Categories: Sold Items, Sold Jewellery. 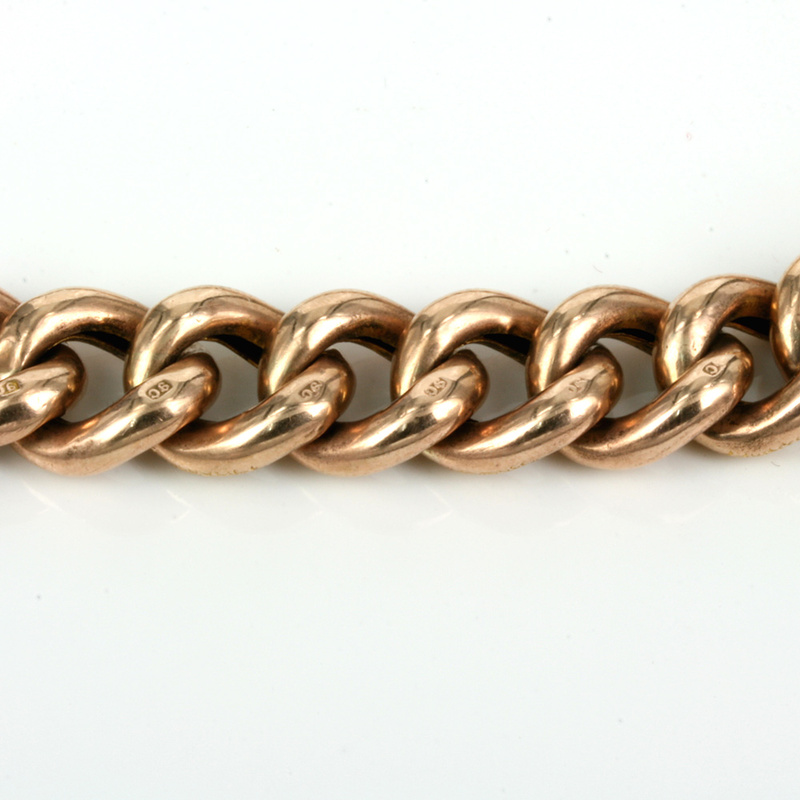 Here is a very beautiful antique night and day curb link bracelet that was made in 9ct rose gold in the Edwardian period. Hallmarked for Birmingham in 1908 this antique curb link bracelet is in superb condition and shows no wear and can so easily be worn every day. The night and day style is one where one side has a pattern and the other side plain and in this case every second link has the pattern adding a wonderful charm to it. 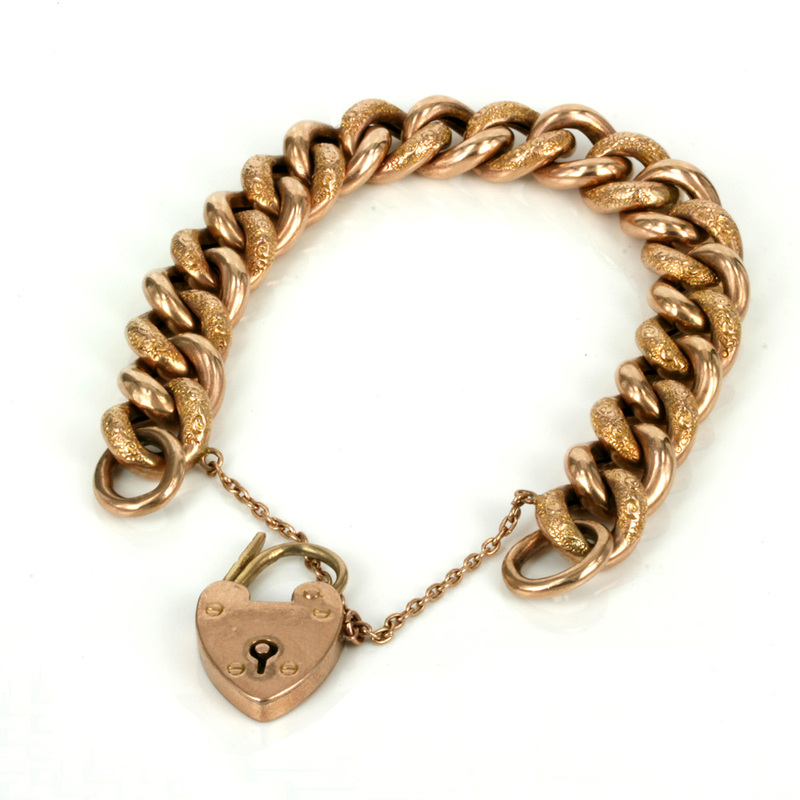 Each link of the bracelet is stamped and measures 12.8mm wide and then is fitted with a gorgeous heart shaped padlock with a safety chain for added peace of mind. Laid out from end to end the bracelet measures18.5cm in length and is so easy to wear all the time day or night and always look so refined thanks to the style and pattern of the links as well as the gorgeous colour from the rose gold.